Melbourne Quarter is a new residential development located at 628 Flinders Street, Docklands, just on the border of the Melbourne CBD. It is just a 3 minute walk to Southern Cross Station, the transport hub of Melbourne, making regional travel and getting to the airport a breeze. 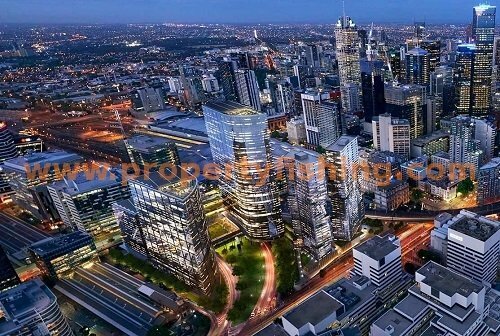 Docklands is an up-and-coming residential, commercial, tourist area adjacent to the Melbourne CBD. It has undergone extensive urban renewal by the government. It is home to the Etihad Stadium and the Melbourne Star ferris wheel. National Australia Bank, ANZ, Medibank Private, Bureau of Meteorology, Myer, and National Foods have their HQ there. Residents will have access to a range of club-like facilities including a gym, 25m indoor pool, spa, sauna, library and private theatrette. Select units will enjoy wonderful views of the Melbourne CBD, Yarra River, Neighbourhood Park or Port Phillip Bay. The development features 1-, 2-, and 3-bedroom apartments. Please register your interest below to receive a full copy of the floor plans.